I’m quite sad over the fact that for the last year or so I wake up with tired, puffy eyes almost every single day. This could be old age creeping up on me or the lack of sleep. The Muse likes to think it’s lack of sleep rather than admit she’s getting old. I’ve set out a quest for over a year to locate the perfect product to de-puff my tired eyes and wake them up again. Sadly, I’ve yet to find a single product that works and believe you me and tried ’em all! 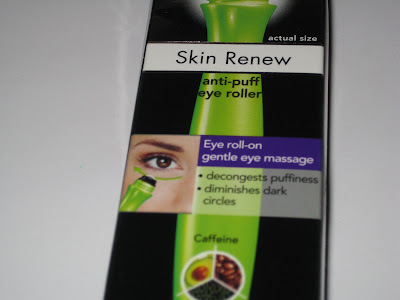 For the past few months I’ve been using Garnier Skin Renew Anti-Puff Eye Roller and I was kinda hopeful for a while that this would be my solution to my woes. I mean think about it…an anti-puffing agent at the local drugstore for a nice price…seems to good to be true right? Well fact is that it is too good to be true because it doesn’t work at all. Period. The end. Sad sigh. Why the Muse was tricked into believing that Garnier Skin Renew Anti-Puff Eye Roller was the solution to life, the universe, and everything is truly beyond her. I guess the Muse was just feeling hopeful that finally some drugstore brand product was finally released that would wow her but sadly as with all drugstore brands she was in for a sore disappointment. 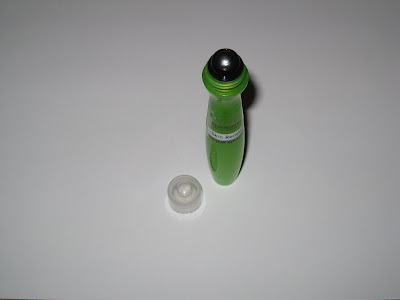 Garnier Skin Renew Anti-Puff Eye Roller comes in a nifty little roller ball applicator and is a cooling liquid that contains a high dose of caffeine. As you may know, caffeine is supposedly a miracle agent for de-puffing your eyes. Personally the Muse has tried many caffeine laden products and none have worked. The Muse likes to think it’s a nice marketing strategy for making us all frenzied about how caffeine wakes up so it should likely do the same with our eyes…not. Honestly, I should have known the product wouldn’t work from the get go considering that it not only promises to de-puff but also rid my eyes of dark circles. Anything that makes two big promises like that does make me wonder. I decided to try this for a few months before reviewing it so religiously, daily, I’d apply it prior to applying my eye cream. I applied it once in the AM and once in the PM and I almost had myself tricked that I noticed some difference in my eyes…but nope..truly this was a trick of my imagination because honestly the puffiness was still very there. 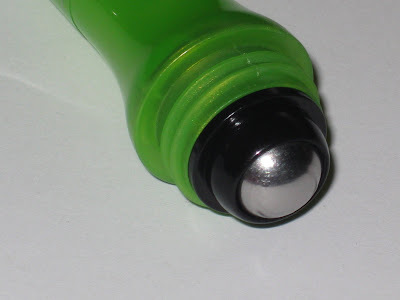 The product is absolutely ideal as it applies wonderfully well with the applicator. It’s also nice and cooling and has a nice fresh scent. I think the cooling sensation is much of where I got it into my head that the product was actually working however I honestly see absolutely no results in regards to either puffiness or dark circles. All in all it’s pretty much well wasted but hey what do you expect from a company who makes haircare products right? I’d say stick with the hair products and leave the skincare to the experts. 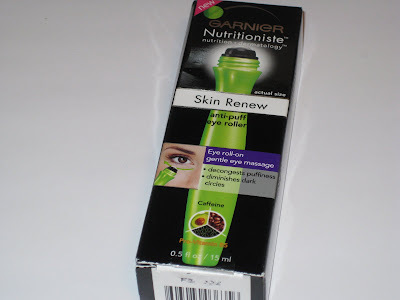 This Muse is still trying to locate that perfect product to de-puff her tired eyes and she knows now, after many months of use, Garnier Skin Renew Anti-Puff Eye Roller isn’t it! Skip it! Total trash as far as this Muse is concerned. You’re soo right! i bought it too for my under-eye dark circle but NOPE! didn’t work AT ALL. I’m still trying to find a good one that works, since these dark circles really made my life hell. i hope i find a good one soon. Good luck to you too! You were blunt, Muse, very blunt, but now I know NOTHING works on dark circles … Well, cross that off my list of things to beautify! I think I’m going towards an eye cream that moisturizes … I’m torn between Shills and H2O. From what I got out of your reviews, if the cream moisturizes well, the lines will not appear as much, and it’ll be easier to apply my concealer. Um, question – will that also minimize puffiness?? honestly mrs budz NOTHING works with puffiness 🙁 sigh. I’m having a little success with bare escentuals triple mineral eye cream and puffiness 😀 also one thing I did find works but it’s costly is the Le Mer eye Balm 😀 that stuff really zaps it! have you tried Preparation H? This is an old but supposedly very effective way to deal with puffy under eye area. I know a few drag queens who swear up and down that this works, for real! try the skinfood eyecare range. i’ve tried the salmon brighterning eye serum to get rid of my dark circles, however over time guess wat.. dark circles still there but at least its a little bit less. and extra benefits: less puffy eyes & the crows feet in the outer corner of my eyes are definitely softened down. How long were you using this product until you started seeing results? hi mrs budz how are you? That item should not be sold or be put in the “beauty” section of any store … I, too, was fooled in to thinking that roll-on stick was going to take away my dark circles, my puffiness, and even minimize the fine lines, but no. 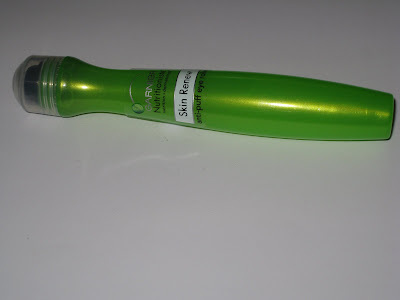 The one time I use it, it was at night before going to bed, and the next day, my eyes were double the puffiness! And they were irritated. I through that thing away. oh no that’s awful mrs budz 🙁 I’m sorry to hear hun! If only I had read this review before I bought it!